This lovely vintage Rug from Sweden features a traditional design, rendered in charming earth tones. Double-sided. 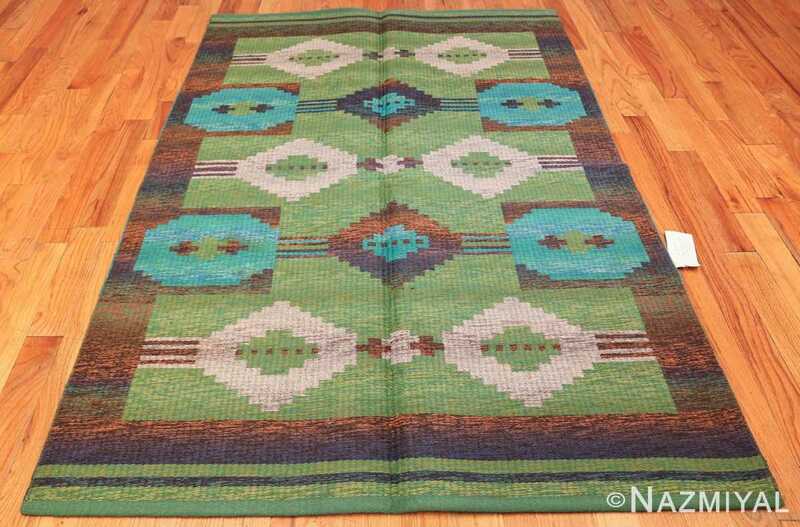 Vintage Scandinavian Double Sided Rug, Origin: Sweden, Circa: Mid 20th Century- Here is a beautiful mid-century Scandinavian rug, woven and designed by the perennially popular textile art and rug makers of Sweden. 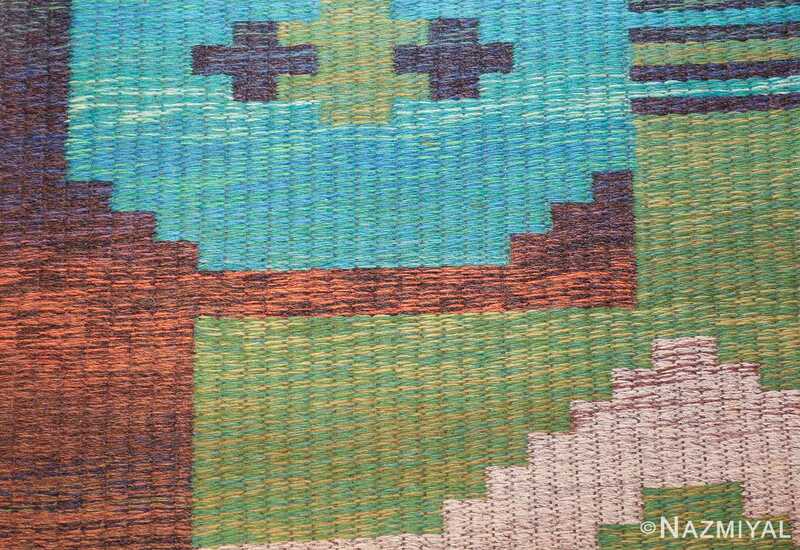 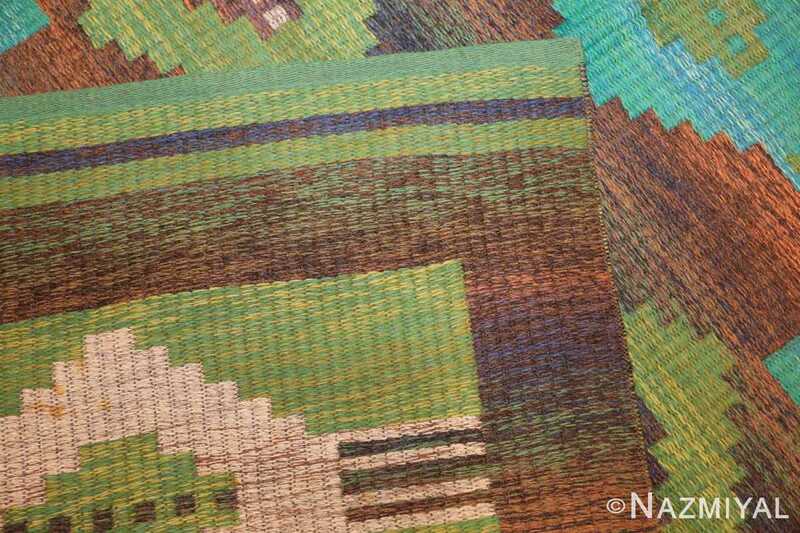 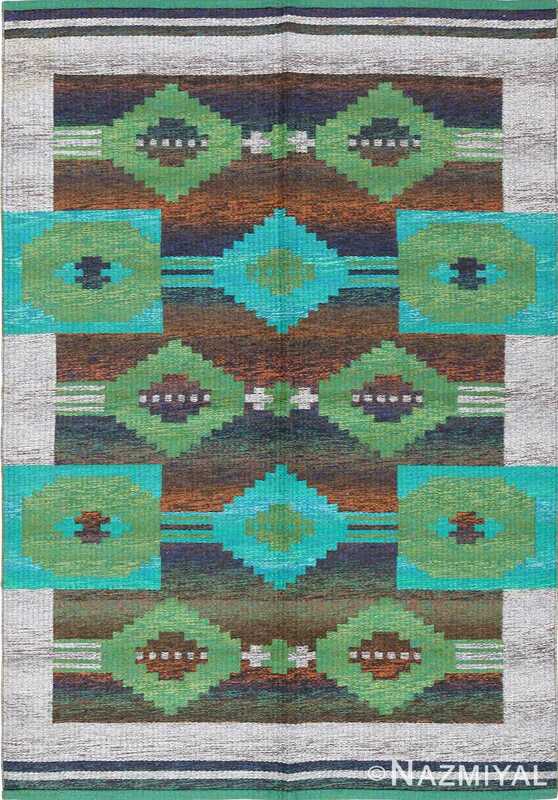 An absolutely lovely composition, this charming carpet boasts a pallet of forest greens, earth tones, and a gorgeous cerulean blue that play delightfully off one another, creating the general impression of a deep woods punctuated by small bodies of water. 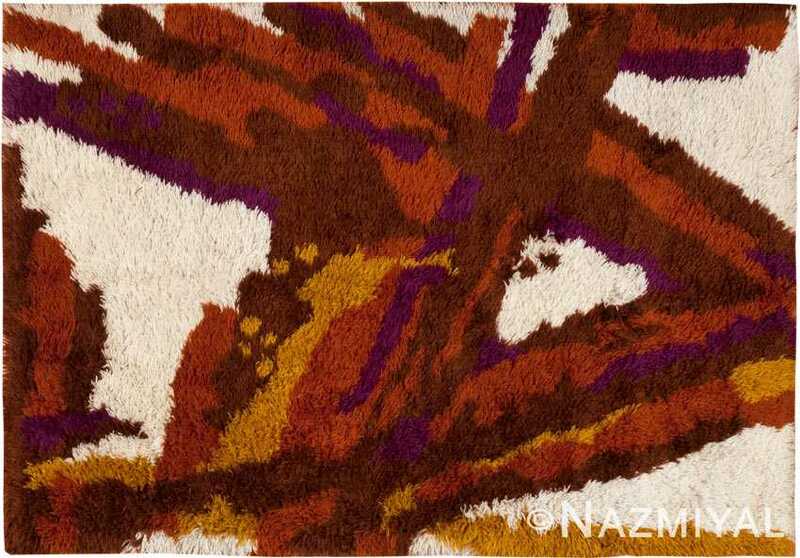 The traditional structure of this vintage carpet, which may be found in customarily Swedish works of art, brilliantly channels the energy of the piece in each direction, creating a powerful dynamism that one cannot help but admire. 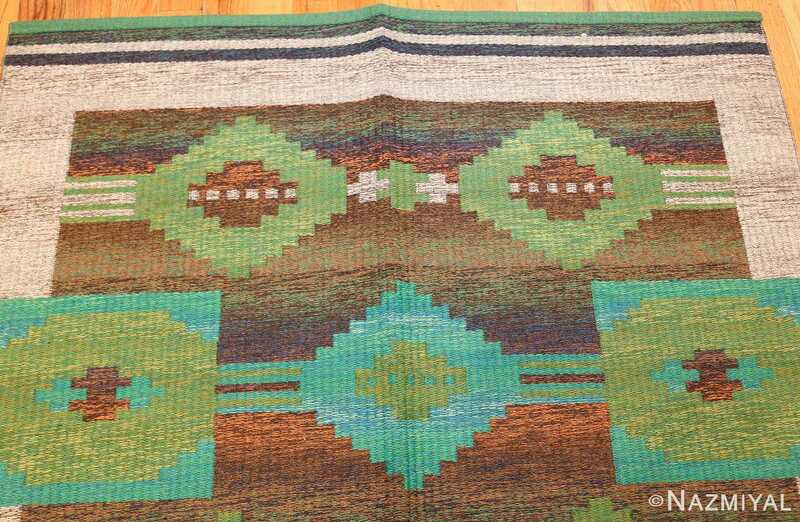 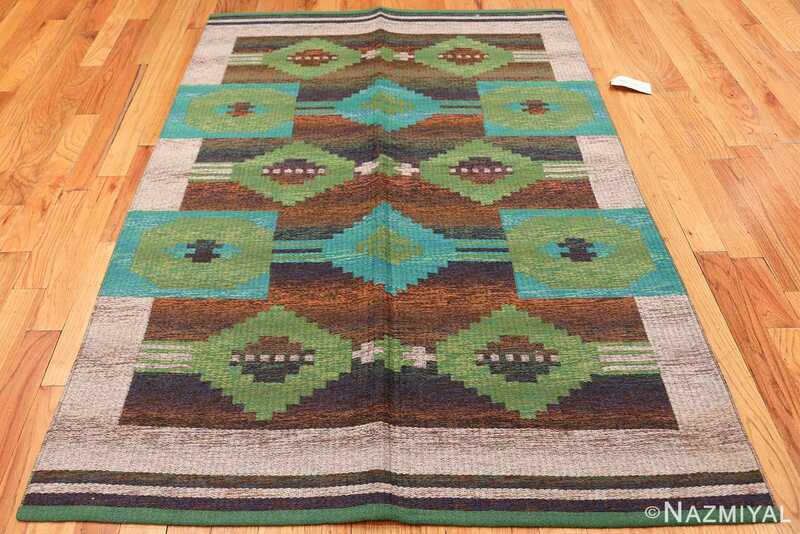 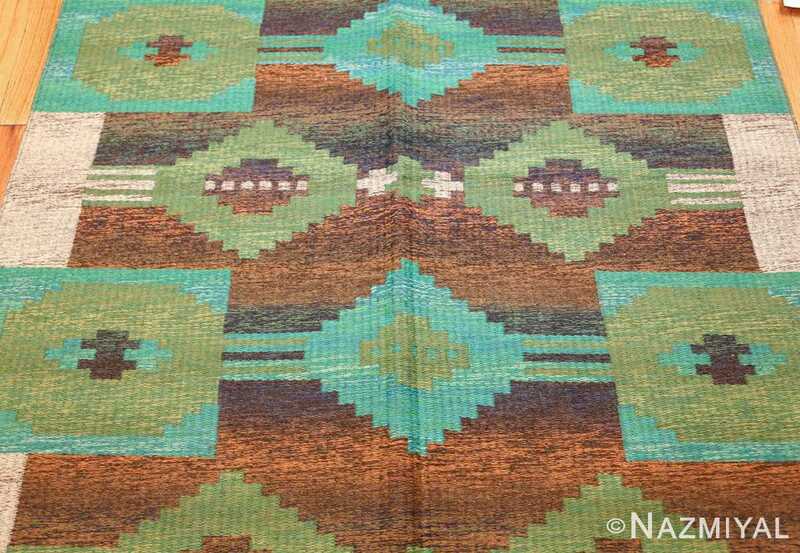 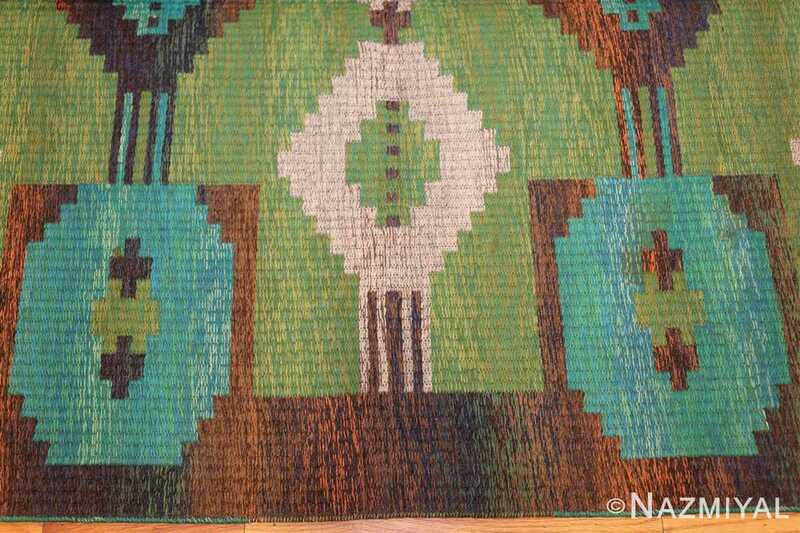 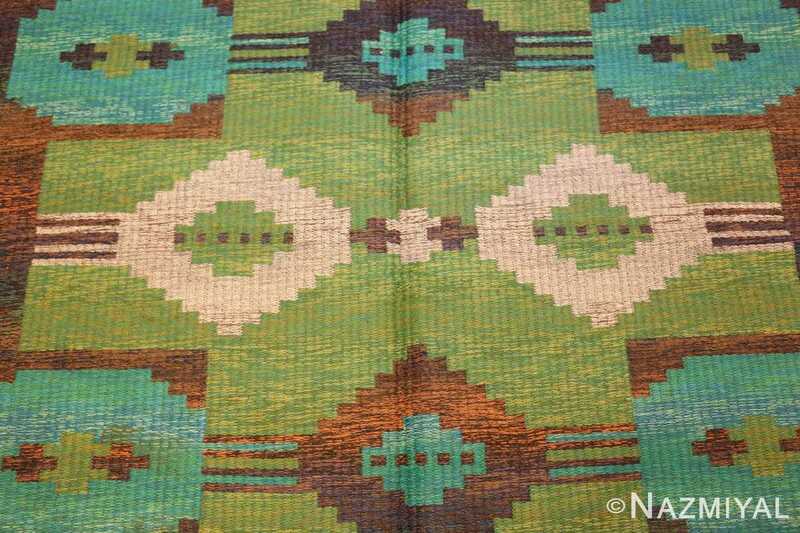 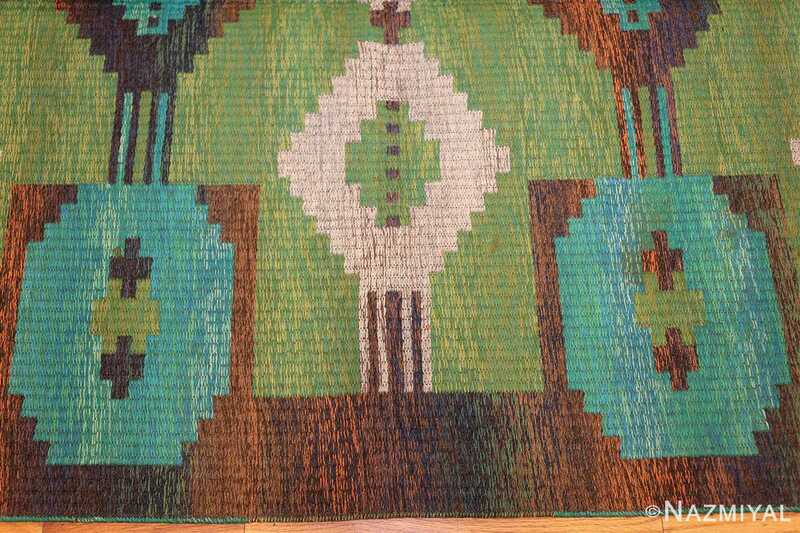 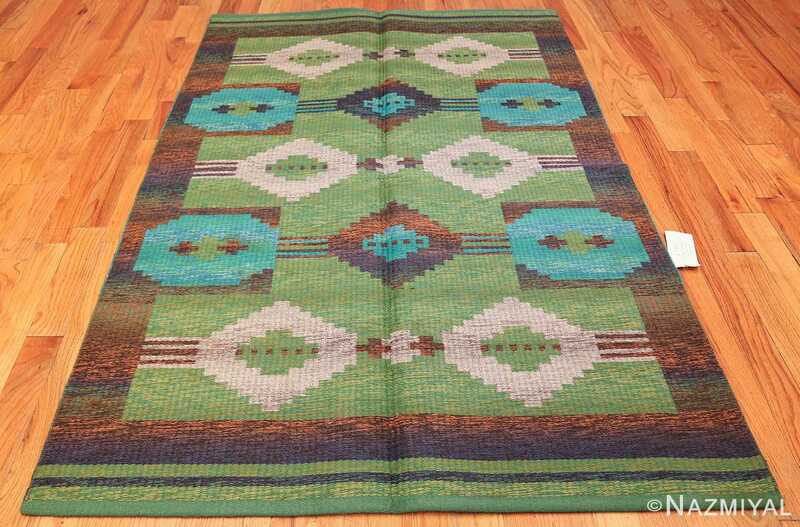 Remarkably, this is done not one time, but twice in this once rug, which features a beautiful reverse side. 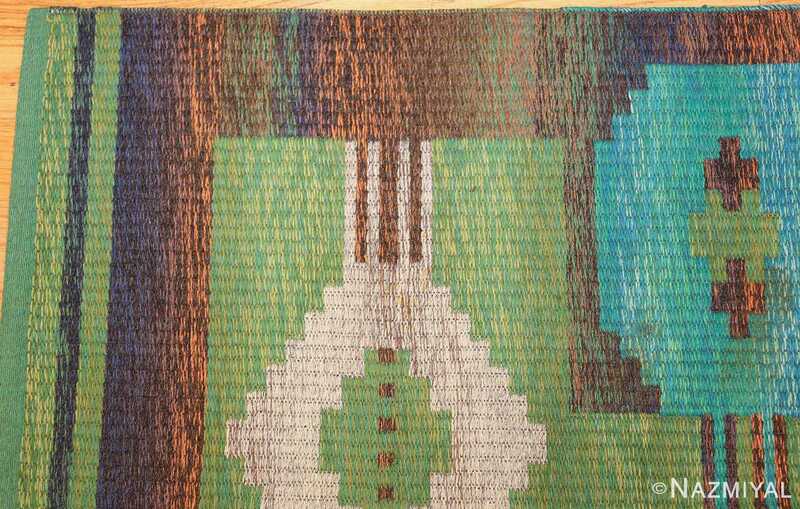 While the first side might be described as consisting primarily of earth tones, the second side displays more green, giving it more of an arboreal quality. 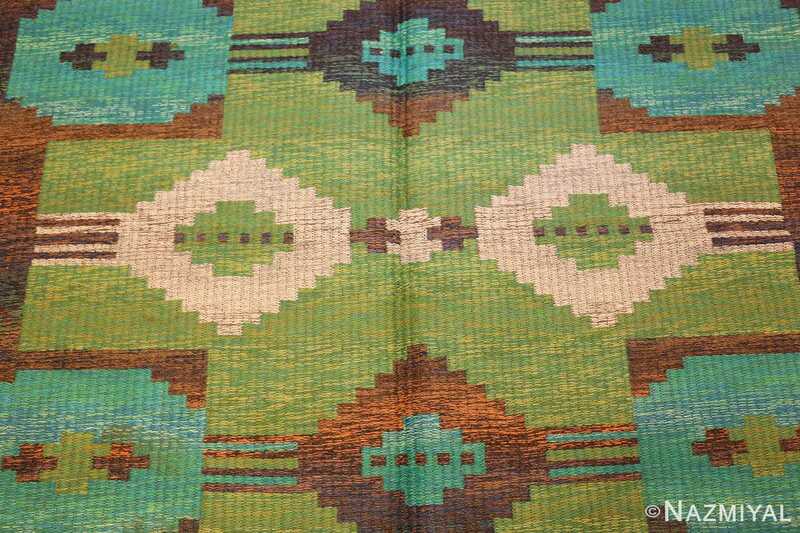 Each side delights independent of the other. 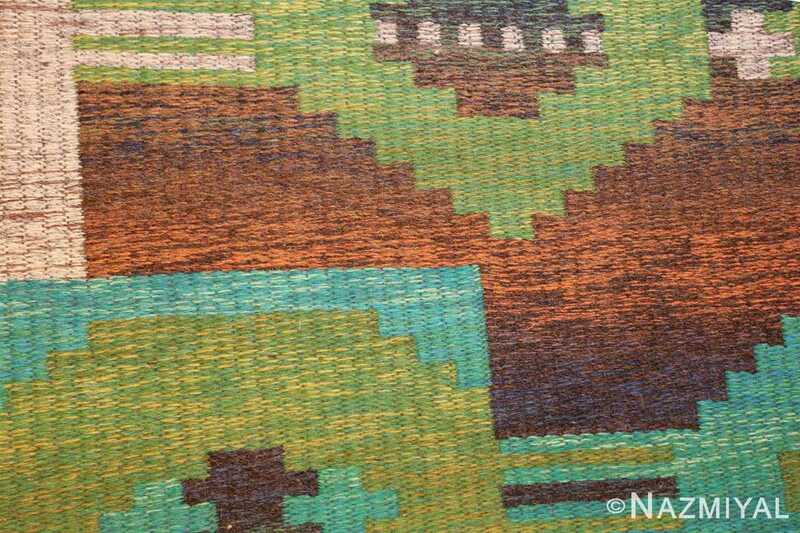 And each side of this very pretty carpet does a brilliant job of capitalizing on a beautiful palette to create timelessly beautiful compositions. 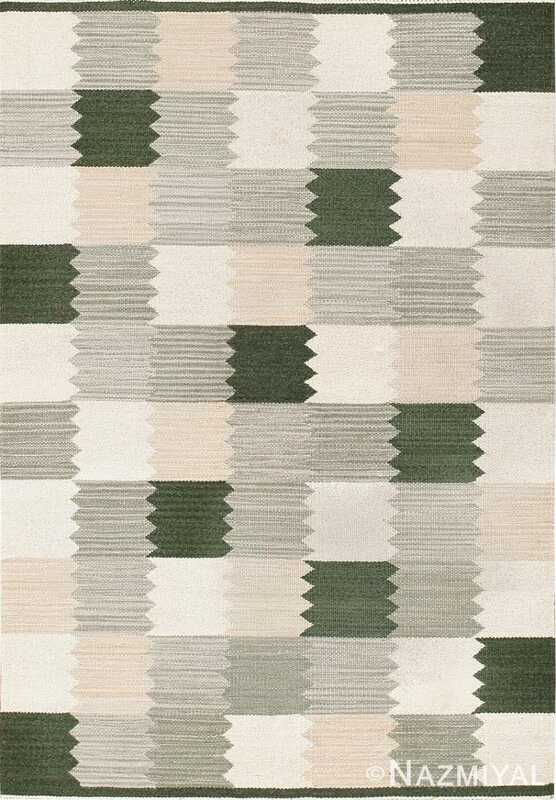 This beautiful Scandinavian rug, with its deceptively straightforward grid work pattern, delights with its pallet of muted tones. Created circa 1950, this flat-woven Rolakan features an outstanding allover pattern with graceful lines and willowy branches constructed with subtle right angles. 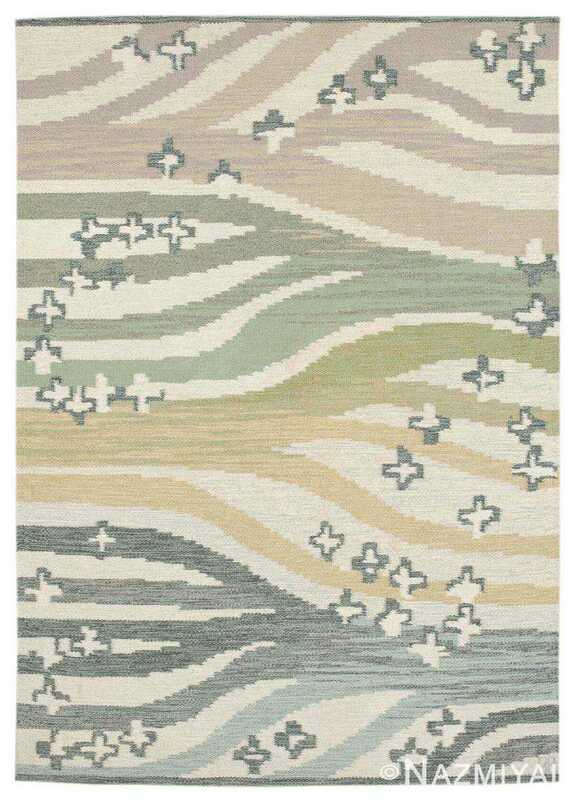 Abstract figures with a geometric structure and crystalline form decorate the marvelously textural field of this vintage mid-century Rya from Scandinavia.